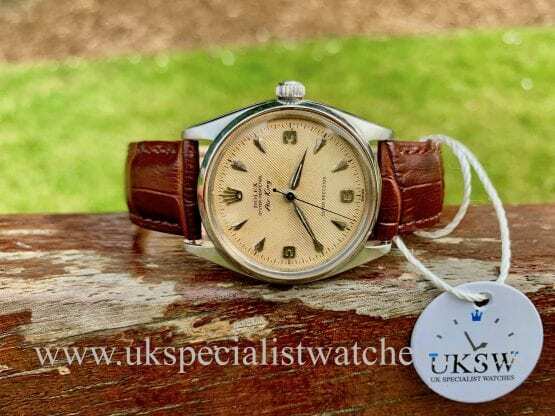 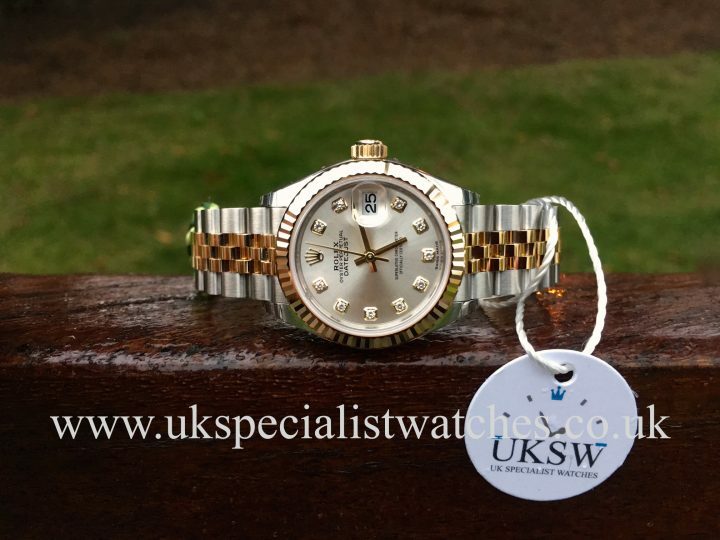 Rolex Lady DateJust. 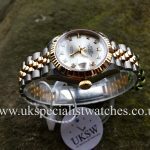 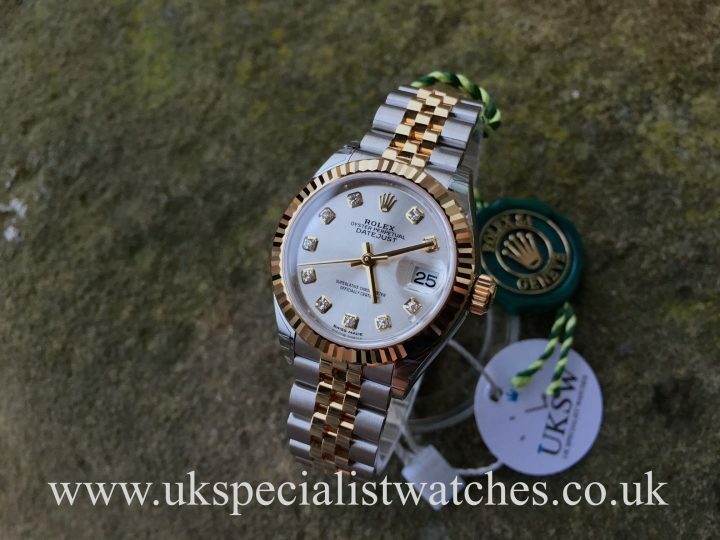 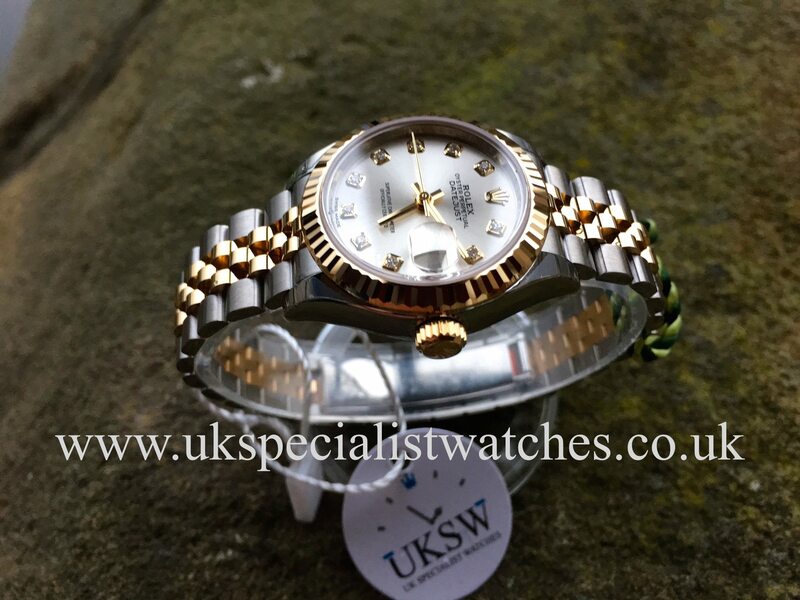 This latest model has the larger 28mm stainless steel & 18 ct Gold case with factory silver Diamond Dial that looks fabulous when it catches the light. 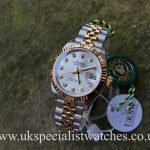 Solid 18ct gold futed bezel. 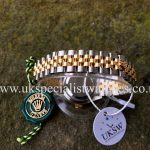 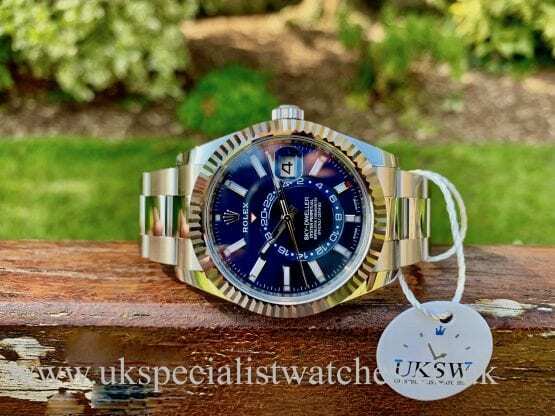 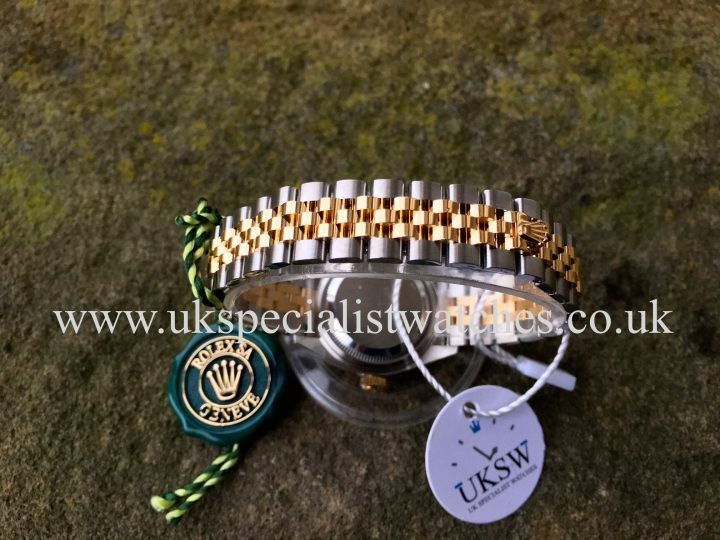 Fitted to a solid link 18ct Gold & stainless steel Jubilee bracelet with concealed double folding clasp, sapphire crystal glass, water resistant to 100m. 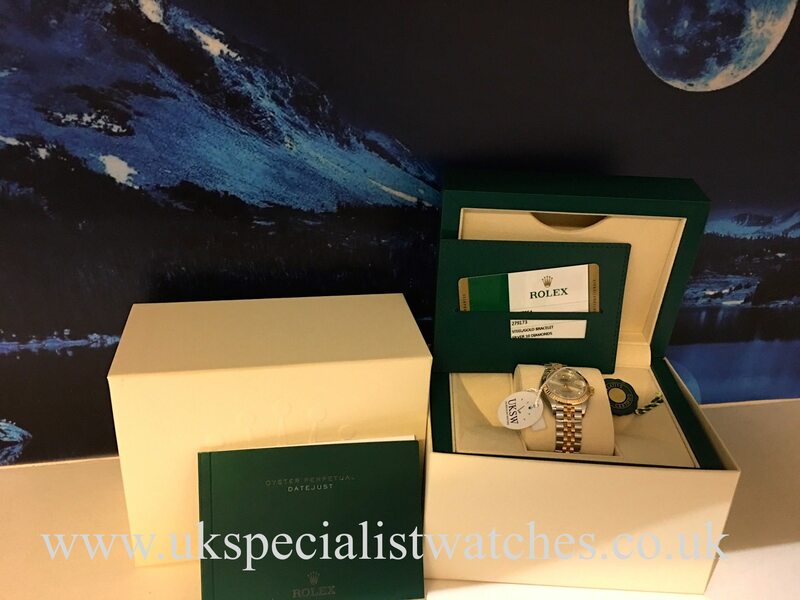 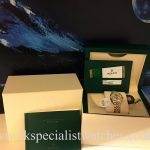 Our 2016 example comes complete with original boxes, stamped warranty card and the Rolex 5 year international warranty. Current RRP is £8200. Our unworn example still has all the original factory case and bracelet stickers still intact.